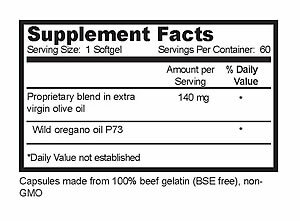 Oreganol P73 - Oreganol P73 Softgels are the only true wild oregano P73 in an easy-to-take gelcap. P73 is a blend of edible species of wild oregano grown on natural, mineral-rich soil. This growing condition, along with our dedication to a chemical-and alcohol-free extraction, is the reason P73 Oreganol oil has a unique chemical profile, which is ideal for human consumption. The same oregano species can be grown elsewhere and would not have the same effect as the P73. It is truly one of a kind. 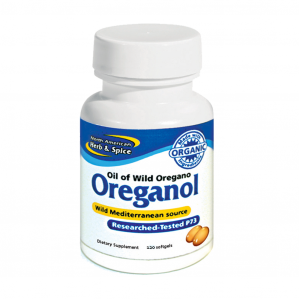 Oreganol P73 gelcaps are ideal for those who take the oil internally. Oreganol P73- can be used topically and internally. Research demonstrates that oreganol is a powerful germicide. Each gelcap contains six drops of wild Oreganol P73 oil blend. Get the power you need in this convenient, easy-to-take gel capsule. Suggested Use: Take one or more softgels daily with meals or juice.